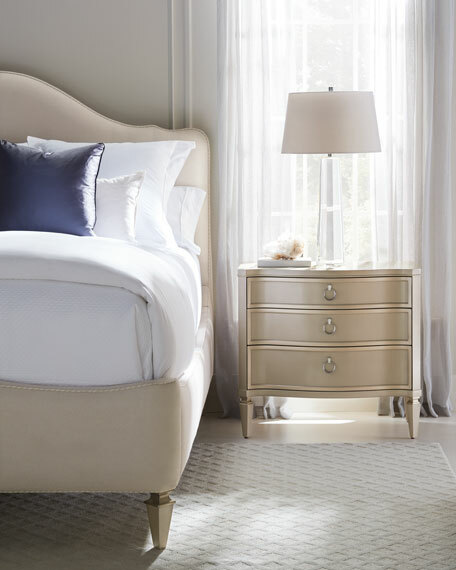 Alluring in every way, this French-inspired night stand brings unexpected charm to the bedside. It features a shaped top with a lovely silkscreen design and three generously sized soft-close storage drawers. 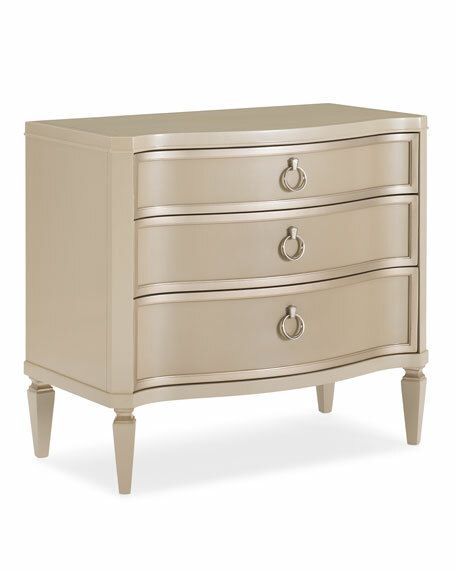 Wearing a luxurious radiant pearl finish, it boasts sparkling argent highlights on select moldings. 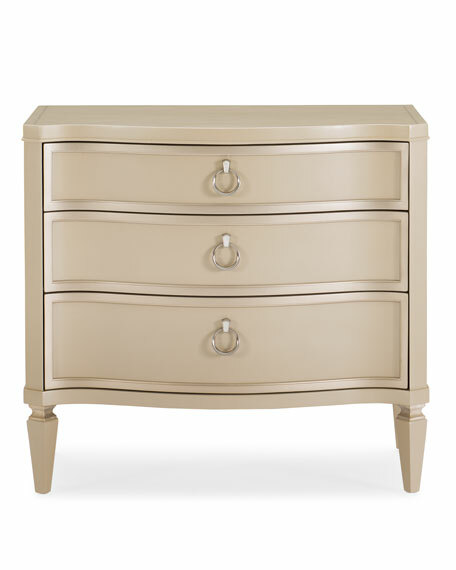 For a night stand that's classic yet updated, this piece has no parallel.